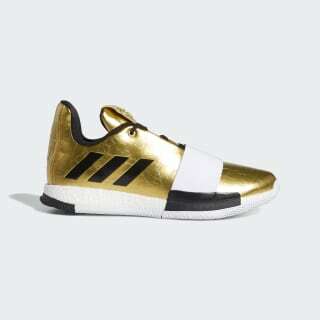 Gold B-ball shoes inspired by James Harden's superstar game. Slow down fast. 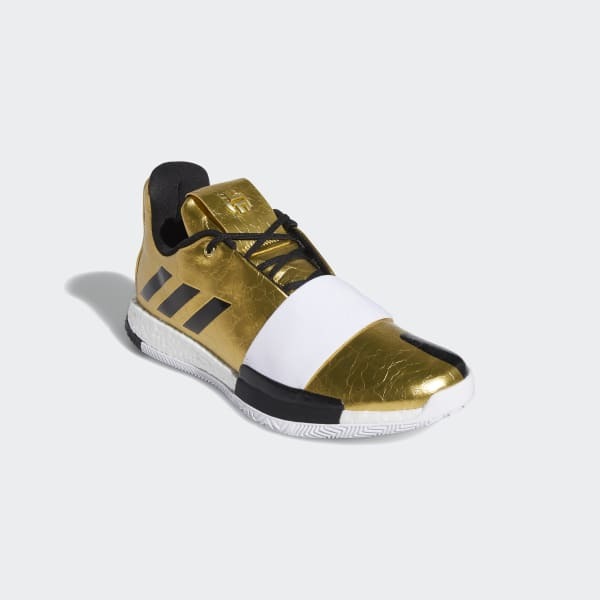 Inspired by James Harden's evolution into a superstar, these basketball shoes are dipped in gold and flash an "IMMA STAR" print on the inner panels. They're built with a leather upper for a locked-down feel that supports quick changes of direction. A responsive midsole returns energy on every Euro step. The herringbone outsole provides extra traction as you start and stop on a dime.